From pollen to pet dander, allergy season is no longer subjected to one specific time of the year. For many, allergies can hit full force all year around. This can turn you into a sneezing mess at a moment’s notice. 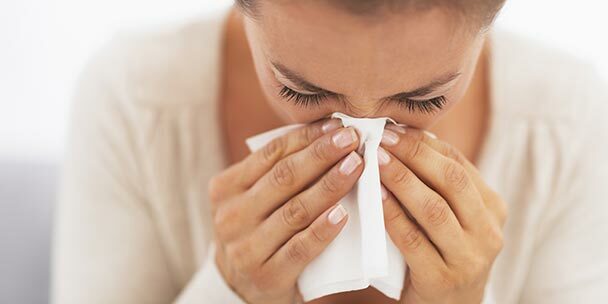 While medication can help, there are other allergy tips for staving off the sniffles, and some tips may be able to prevent you from having to run to the pharmacy at all. Here is a list of some of the top tips for coping with or defending against your pesky allergies. Blooming trees, pollinating flowers and even the grass in your yard can be contributing factors to your allergies. It is important to make sure you keep clean, especially your nose and hair, to prevent the pollen from setting. A good habit to adopt is washing your hair at night before going to bed rather than in the morning. This can rinse the pollen out from the day and give you a fresh start the next day. This can also prevent you from inhaling the pollen all night long while sleeping and from it sticking to your pillow. Just like the windshield to your car, pollen sticks to your nose. Try a nonprescription herbal nose spray or a saline sinus rinse. These can help flush it from your nose and prevent allergies. Some allergists have even done studies to show that many reactions occurred after performing a stressful task. Since hormone cortisol levels rise due to stress, this could lead to the worsening of your allergies. When you wash your hair at night, you might even consider taking a relaxing bubble bath to decrease stress levels. While you may feel silly walking around with a mask on, you probably won’t feel silly later when your family and friends are wheezing and sneezing with allergies and you aren’t. Depending on what time of year it is, typically grass and weeds are one of the root causes that trigger the symptoms. Other allergens include outdoor molds and seasonal tree and flower pollen. If you are sensitive to seasonal changes, the best-known defense against these allergies is to stay indoors during times where allergens are at high levels. You can also invest in a filter mask to wear if you need to garden or visit your local farmers market. This can help keep the pollen out of your mouth and nose. Dust mites can also be a contributing factor to your allergies. They thrive in warmer temperatures, so if your home is warmer than 70 degrees and has 50 percent or higher humidity, you could have mites. Keep your home’s humidity between 40 and 45 percent, and make sure the temperature stays in the mid to low 60s. A home hygrometer can help you measure the humidity levels. Since mites don’t deal well with cool weather, this might send them packing. For your bedding, make sure you have pillow and mattress encasements, preferably made with organic cotton. You should also wash your bedding weekly in hot water that is at least 140 degrees. If you don’t have a housekeeper, make sure you keep up with daily chores. Pet dander, pollen, dust mites and other common elements that cause allergies can hide in nooks and crannies and can embed themselves in your carpet. If you only sweep, this can just stir up the dust mites and their droppings, which can take two hours to settle again. Dusting, vacuuming and doing laundry are all important tasks to preform regularly to keep allergens out of your home. Look for a vacuum cleaner with an air filter. Try to vacuum daily and wear a mask. It is also a good idea to rent or buy a carpet shampooer and shampoo your carpets as frequently as you can. Be sure to also scrub your baseboards, where most dander and dust mites tend to settle. Just like dust mites, mold thrives in humid, warm weather. Mold often hides in walls, under carpets and in corners. To prevent it, make sure you keep your home at a cooler temperature and watch the humidity levels. 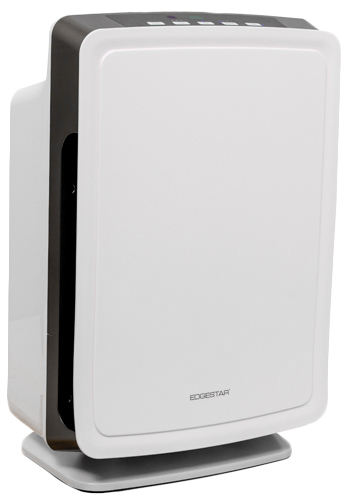 You can also invest in an air purifier specifically for mold or a dehumidifier. 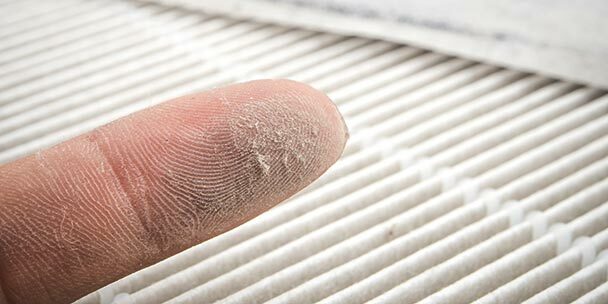 If you have central air, make sure you replace your air filters on or before the designated expiration date of your filter. It is also best to have the air-conditioning and heating units cleaned and inspected twice a year. To beat small areas of mold, bleach it. Look for a 5 percent bleach solution, and using a sponge or rag, scrub areas of your home that have high humidity levels or that are prone to mold. Find a nonallergic friend, family member or partner to comb your dog or cat every day. This should be done outside and the comb should be dipped in distilled water. This will help trap the dander. This regimen should also include giving your pet a weekly bath. Anything more frequent than this will dry out your pet’s skin, which can often make the dander problem worse. Your pet should also never be in the bedroom or lay on the furniture. There are also special air purifiers for pet dander that you can purchase if the problem persists. If your allergies are particularly bad, and no daily tips seem to help, consider switching out all of your home’s carpet and replacing it with hardwood floors, such as linoleum or tile. Hardwood floors won’t trap allergens as a carpet or rug would, and the upkeep and housekeeping of them can be easier. This is also great if dust mites are a problem in your home, because they often thrive deep in the carpet. For some, allergies are a seasonal occurrence, but if your home has mold, dust mites, gardens or pets, you may be more prone to these allergens than you thought. Follow these allergy tips for best results and if you find you still have that runny, stuffy nose, it is best to consult a doctor for specific treatment and information.